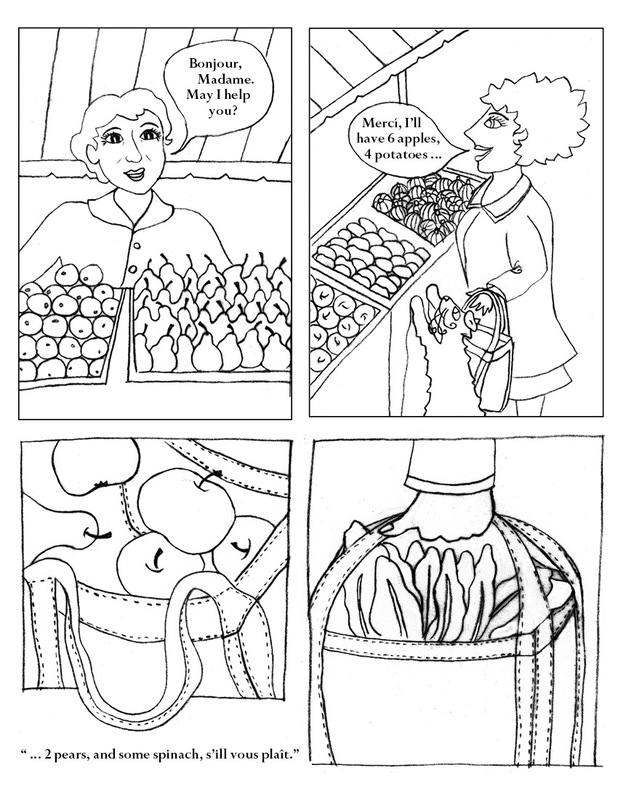 This page is part of Adele’s trip to the market where she buys a lot of her food. In an earlier post, I showed you the luscious strawberries that she picked up on the same shopping trip, and this page drawing faces that page. Adele’s story is set during the springtime, but shopping at an open-air market always makes me think of summer here on the east coast, since that is when our farmers’ markets are overflowing with a large variety of my favorite produce… tomatoes, corn, peaches, blueberries, and so much more! 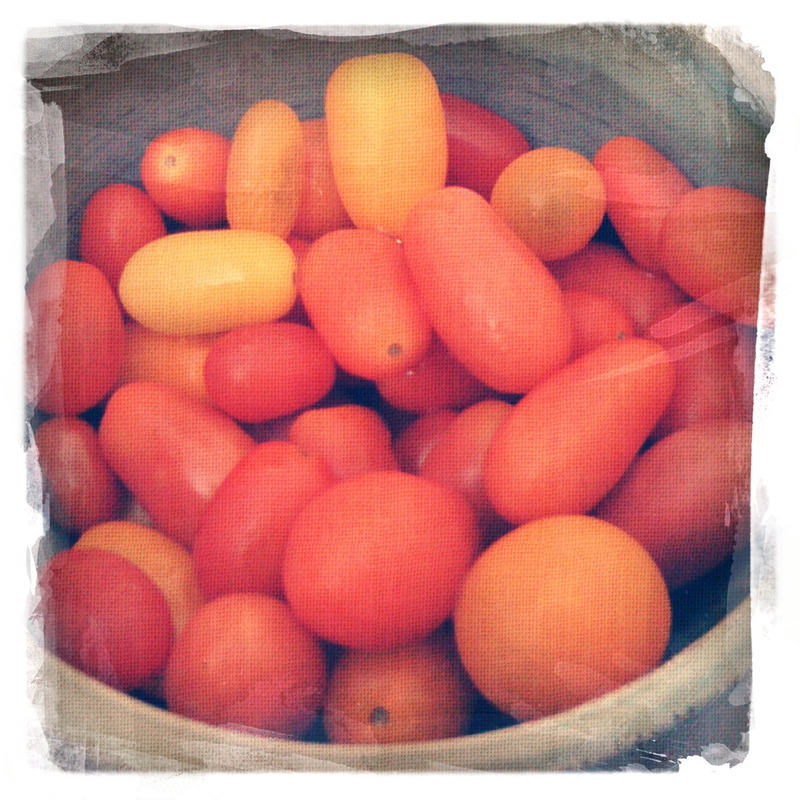 I really love the smell of all of that fresh food. Go local!! !